Please delete the 1/4 mile time! @FL or any other contributers.Can anyone here add Mantorp lap time for CCR and please correct the CCR's 1/4 mile time.9s is too fast to be believeable,11.2s seems more accurate as in the test.Scans are available in the link. Why doesn't anyone add Mantorp track lap for CCR.When I showed the scans. What the hell! Did I actually automatically approve the change to the quartermile trap speed?! (How could I...I'm not a moderator!) Lol At first it was 133 mph. While the ET isn't changed, of course. EDIT: When I was on the Ford GT, I saw the 11.3 standing on the CCR behind the FGT, and I noticed it said 11.3 @ 146.
they have claimed it but have they tested it?it won't do it in 3.2s fastest i have seen was 3.9s(every other record runs have video). if you have video then give me the link. 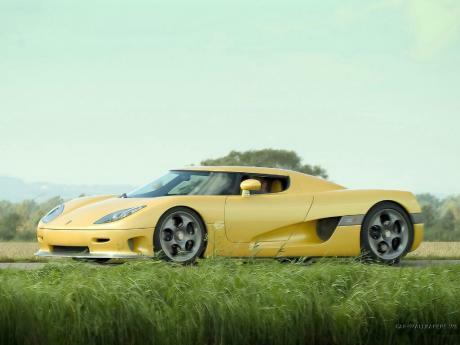 and once again name any koenigsegg which reached claimed topspeed.they overestimate their cars way over the limit. Your a fool if you think this does 9 flat. With a "real" pro and perfect conditions it could "Dip" into the 9s, But its not doing a 9 flat, I have seen what a CC 8S can do on a strip in person, But this aint getting that claimed time, Its just retarded they would even claim that. 9 seconds flat and 146 mph? That is impossible! The 918 does 9.8 seconds @ 148 mph and it has a much better launch. 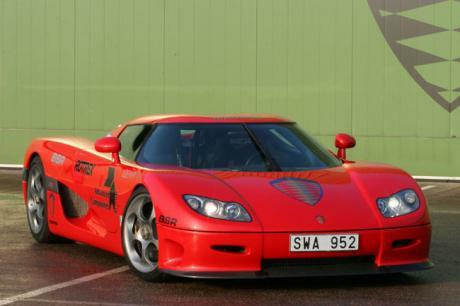 i don't believe any of those specification as koenigssegg do not have claimed peformance most of these time.for eg agera r topspeed was claimed to be 273mph but is observed to reach only 260mph and excuse was that they didn't have long track.then how did hennessey venom(271mph) set its top speed record? but 0-60mph seems to be correct there is no way it will do 1/4 miles in 9s. It has 564 HP per tonne, not total output. You're right, Wallace Racing is not a FastestLaps reliable source. With 795 or 806 it'd be reaching more than 260 mph, probably in the low 270's range. NOO!!! It really does have 564 horsepower according to Wallace Racing. The actual power output is 795 horsepower as stated above, it takes a lot more than 564 horsepower to reach its 245 MPH top speed, and aerodynamics has nothing to do with how much horsepower an engine produces. Why was the comment below hidden? Is it because Wallace Racing is not a reliable source? The CCR does not have 806 horsepower. According to Wallace Racing standards, it has 564 horsepower. The CCR did beat the F1's record on Nardo, which was 375km/h, the other F1 record was done like Enzostradale said, on the VW test track and with the rev limiter removed so it wasn't strictly stock. 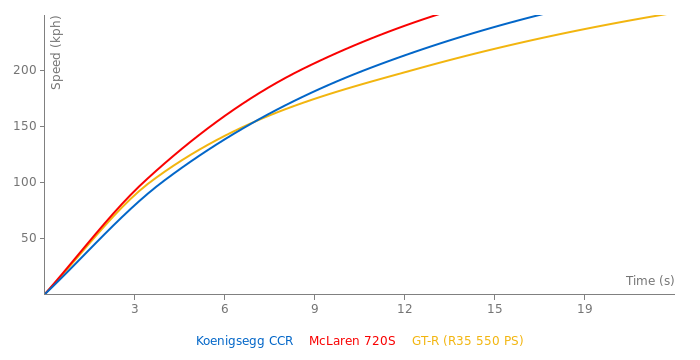 On a similar note, where do you get that the CCR is lighter or more aerodinamic, on the weight thing the CCR was claimed to be 1180kg dry (more than the F1s curbweight) but in tests it was always above 1400kg. 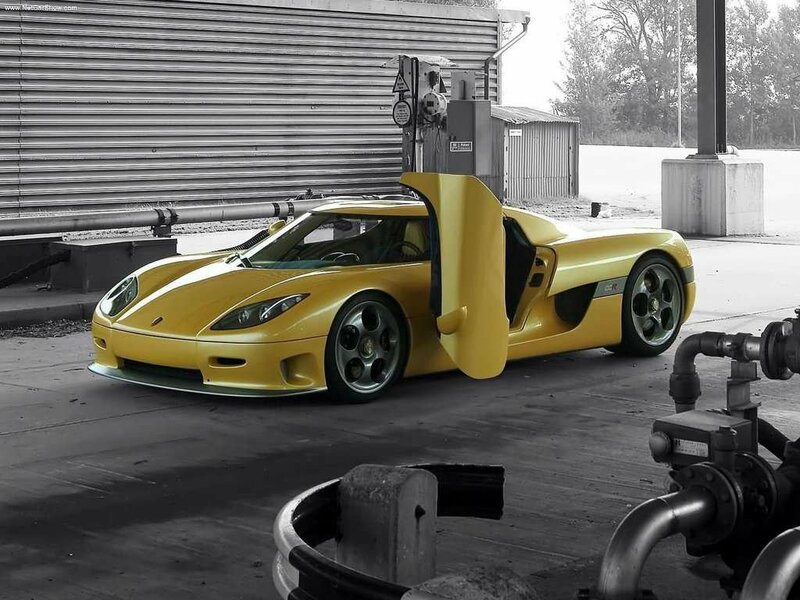 Itz kinda reflects badly on koenigsegg as a young startup how the ccr was 'lighter', 'more aerodynamic' and had more horsepower and still accelerated slower than the mcLaren F1. 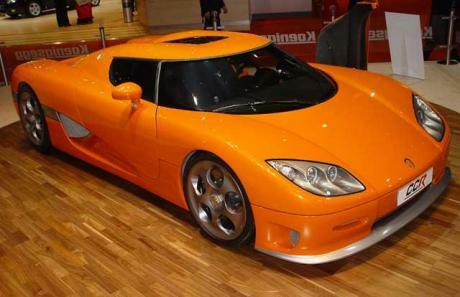 On nardo, it clocked 387 and 389kmh, it never actually beat the mclaren f1's fastest record of 391kmh. go on youtube.com and type in "top gear gtr" and then "top gear koenisegg CCX", jeremy clarkson reviews both the supercars. i was amazed.